Amazon Kindle Fire has grabbed the attention of many gadget lovers and you may surprise to know that the Amazon is working on the Amazon Kindle Fire 2. According to a report of Apple Daily, the successor will launch in the second quarter of 2012. There is no detail of specs and features of Kindle Fire 2 but it is expected that this new version will come with a skinned version of Android Ice Cream Sandwich. 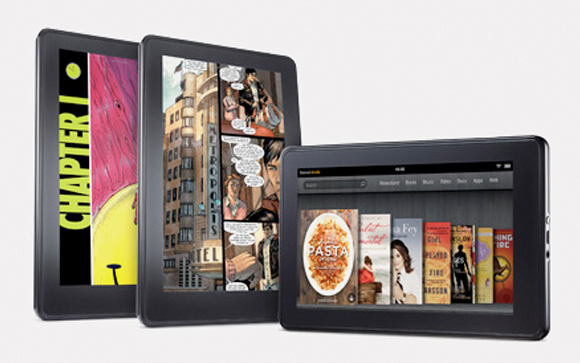 It is also in the rumors that Kindle Fire 2 may come with improved storage space. If you have placed the order of Kindle Fire then surely you will get one by tomorrow. In case you have not placed any order then you can check the review of Kindle Fire for getting an idea about the goodies of this wireless reading device. For your information, Kindle Fire will bring full time entertainment and fun with the integration of different music and video services. Furthermore, if you place an order of it before May 1 then you will be able to get three month free trial Magazine subscription. Would you like to buy Kindle Fire now? Or want to wait for Kindle Fire 2?